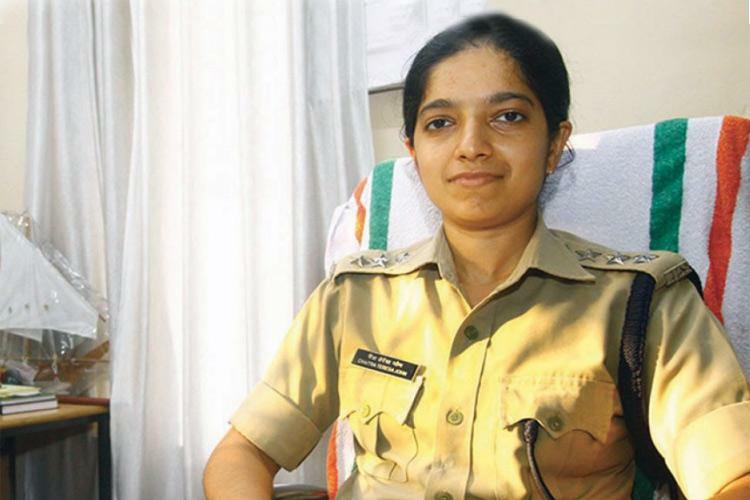 Thiruvananthapuram: A departmental inquiry has been ordered against former DCP Chaitra Teresa John after the IPS officer raided CPM district committee office in Thiruvananthapuram. The inquiry comes after a complaint was lodged by CPM district secretary Aanavoor Nagappan alleging that the raid was intended to malign party’s image. Chaitra was also served a show-cause notice by the Home Department. DGP Loknath Behera has directed the South zone ADGP to probe the complaint. On Wednesday night a gang of DYFI workers pelted stones at the Medical College station. A police team led by Chaitra Theresa raided the CPM office at Mettukada on information that the key accused was hiding there. But no one was nabbed from here. Following this, DCP Chaitra Theresa was transferred within hours which drew flak from various quarters.